Raising skills is critical to Portugal’s economic success and social well-being. As globalisation and digitalisation are transforming how people work, how societies function and how individuals interact, Portugal needs to equip its entire population with strong skills so that they can benefit from new opportunities.Portugal has put education and skills at the forefront of the political agenda for many years, but more than half of adults have not completed upper secondary education. With the population ageing rapidly and a growing skills divide between generations, Portugal needs to further strengthen its adult-learning system. To make change happen, Portugal will need a clear vision for the adult-learning system and a strong partnership between all stakeholders – all levels of government, education and training providers, employers, trade unions, the non-profit sector and learners.This report outlines areas where the accessibility, flexibility and quality of the adult-learning system can be improved, where governance and financing mechanisms can be strengthened, and provides examples of international and national good practice to help achieve these objectives. 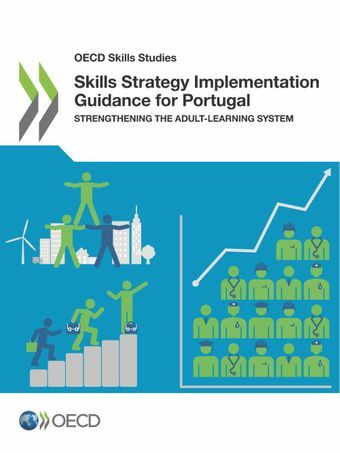 The report provides a series of concrete actions to help Portugal improve the adult-learning system and in turn enhance economic growth and social cohesion.